The Pending List page is available to authorized users based on login by navigating to the Pending List (Sample Backlog) menu item. 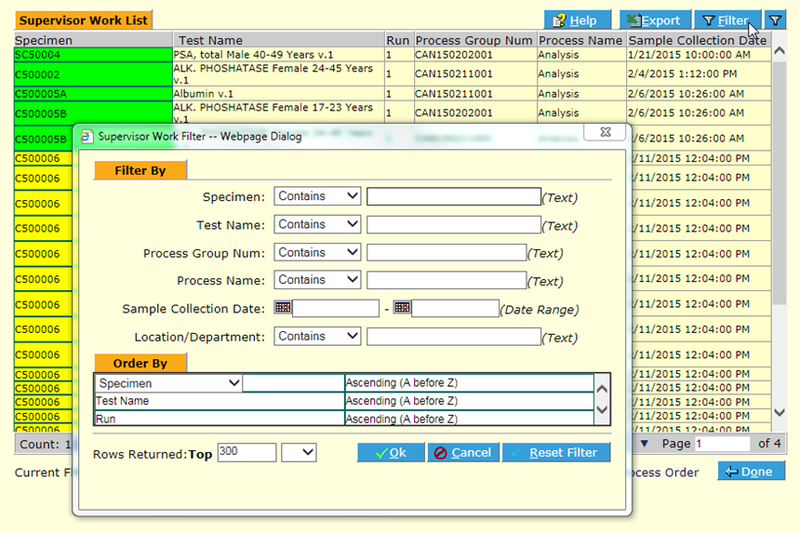 Its function is to provide a report listing all outstanding work in the lab. Click the Report button. 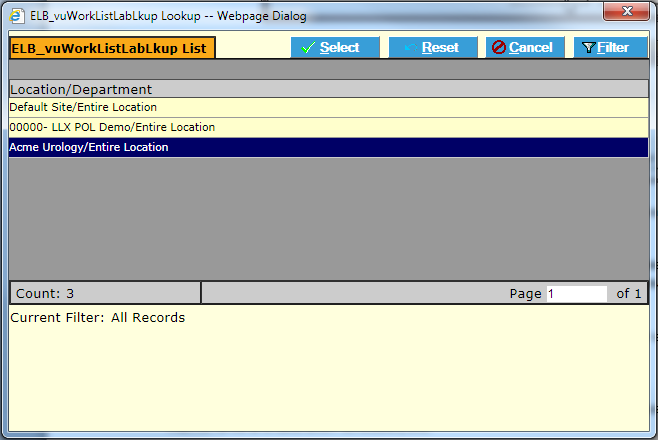 The Worklist or Backlog Report/Pending List for the logged-in user displays. 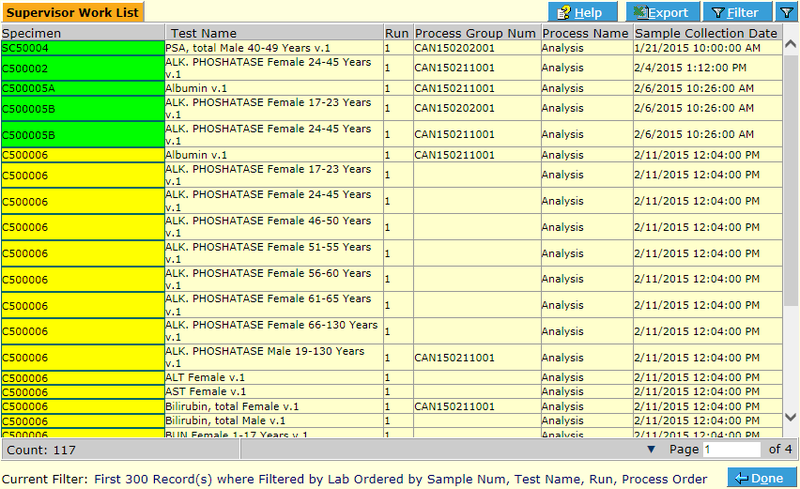 The Pending List Report or indeed any list screen in HealthCloudPOL is easily exported as an Excel spreadsheet. Click on the Export button (you can filter for the records you want to export). A series of one or more Export popup dialogs displays. Make sure there are not too many records being exported and click Yes for each (unless you want to export as a generic .txt file). *Note: It is important that you have made your HealthCloudPOL URL address a Trusted Site with Active X enabled and any popup blockers disabled, and that you have allowed external program scripts to run in your Excel application. If you have questions, consult your HCPOL Administrator. HCPOL opens your local MS Excel program and creates a file containing your exported records.